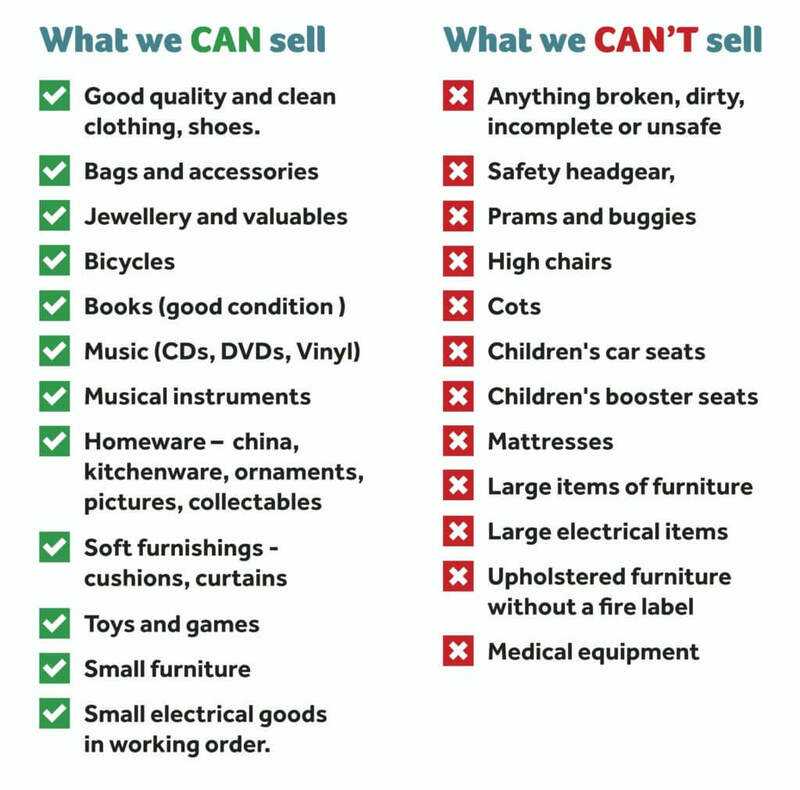 By donating to or buying ‘preloved’ items from any of our 12 Cancer Focus NI shops across Northern Ireland you’re helping us to fund potentially life-saving health checks on our Keeping Well Vans. Our shops are treasure troves – full of unique finds at a fraction of their original price. Whether you’re looking for vintage chic, retro trends, smart tailoring or a special gift, our shops have everything you need. Find our shop locations here. You can drop off your donations at your local shop or contact the retail department on retail@cancerfocusni.org or 028 9205 7002 to arrange a collection. Every bag of donations you give us helps, but if you Gift Aid it then it can do so much more. One bag of donated items can raise as much as £40, so with Gift Aid, your donation would be worth £50 – an extra £10 at no cost to you! To find out more about Gift Aid visit our page by clicking here. Volunteering in our shops offers a great opportunity to gain new skills and experience within the retail sector. Shop volunteers help with visual merchandising, window displays, point of sale and styling – by donating a few hours per week you can make a real difference. If you’re interested contact your local Shop Manager or Morag Chambers on moragchambers@cancerfocusni.org or 028 9066 3281. Check out our online shop here to see our range of t-shirts, running vests, books and wedding favours. Find out more about Cancer Focus NI.